It’s safe to say homeowners typically don’t daydream about moving into a smaller home, but that doesn’t mean there aren’t serious benefits of downsizing. Even if you can still afford to live in your large home, downsizing could be your ticket to a simpler and more comfortable life. And downsizing doesn’t mean getting rid of all your things, either—you can put your extra belongings in a storage unit in Palo Alto and access them whenever you’d like. Here are some of the top reasons to consider renting a self-storage unit and downsizing your home. A smaller home is more conducive to a low-maintenance lifestyle. Smaller homes have smaller yards to mow, fewer rooms to clean, and overall fewer things that can go wrong and need to be repaired. You will also enjoy less home maintenance after putting most of your belongings in a self-storage unit. After all, furniture, electronics, and other belongings require maintenance too. Large homes on large pieces of land are often secluded and far from the center of the city. Although you may appreciate the seclusion and extra room while raising a family, you may find yourself craving a different pace of life after your children grow up and move out of the family home. If you want to be closer to restaurants, nightlife, and culture, consider downsizing your home and moving into a condo, loft, or small home downtown. Some life events, such as a divorce or unemployment, are unexpected and may force you to find a smaller home for financial reasons. In these cases, you can significantly reduce your monthly expenses by downsizing to a smaller home with cheaper rent. If you aren’t sure how permanent the situation will be, look for a self-storage facility in Palo Alto that offers prorated storage refunds for any unused portion of your monthly storage unit fee. What Makes Independence Storage Unique? When life happens and you need a self-storage to keep your belongings safe and secure, work with Independence Storage in Mountain View . Unlike other storage facilities in Palo Alto, Independence Storage offers customized storage solutions to fit your unique needs. For example, customizable billing options for short-term and long-term clients and pre-payment discounts can make storing your belongings at Independence Storage more convenient and affordable than anywhere else. Independence Storage also offers storage refunds so you’re never stuck paying for a unit you no longer need, even if you decide to move out in the middle of the month. Stop by Independence Storage today to see why more people in Mountain View and Palo Alto trust this storage facility than any other. You can also contact Independence Storage online to get a quote on a self-storage unit. Whether you’re moving off to college and shaking up in a dorm, moving in with a friend, or renting out a room in your home, sharing your living space with someone who you aren’t romantically involved with can be difficult. Fortunately, there are things you can and steps you can take to make your living arrangement more comfortable. From something as obvious as renting a storage unit in Palo Alto for additional space to difficult conversations about privacy and boundaries, here are some things you can do to be a good roommate. Unless you’re moving into a huge home, sharing a living space with another person can quickly feel cramped and crowded. To give your roommate a bit of extra breathing room, do not overwhelm the apartment or dorm room with your belongings. If you have a lot of stuff and don’t want to get rid of any of it, rent a self-storage unit and keep your extra belongings safely stored away until your living arrangement changes. Although roommate conflicts are not entirely unavoidable, you can lower the stress and diffuse conflict before it arises by setting personal boundaries with your roommate in regards to each other’s belongings and personal space. Make sure you and your roommate are both on the same page regarding each other’s personal boundaries and you will find yourself in a rather enjoyable living arrangement. If you have any belongings that you don’t want to share for personal or sentimental reasons, you can keep them safe and secure in a storage unit. When conflict does arise—and it will—address the problem head-on before things get any worse. Communication is the key to any successful relationship, including the relationship between roommates. Talk about your feelings and about what can be done to remedy the situation to keep your problems from escalating. Of course there is the possibility that things might not work out, in which case it pays to have your things in a storage facility in Palo Alto that allows for prorated returns on early move-outs. Whether you’re moving a few items into a self-storage unit or moving all of your belongings to a new home across the county, staying organized is the key to a successful move. As your home begins to fill up with moving boxes, keep a home inventory sheep to keep track of your belongings and color code the boxes so you know which items are in which box. Simple organization tips like these are easy to accomplish and can save you lots of time and frustration during your move. Watch this short video clip from MyMove.com to learn more about these and other smart moving tips. Your storage facility near Palo Alto will have everything you need to stay organized during a move. From packing tape and permanent markers to moving boxes and inventory sheets, you can find all the materials you need to pack up and prepare items for storage at Independence Storage. If you’re always on the lookout for the best finds at your local antique shops, you’ve probably long run out of room in your garage for your collection. Fortunately, you can keep your old treasures safe and secure at a self-storage facility near Palo Alto . Having a dedicated space to store your antiques will clear up a lot of room in your home, and it’s also much safer than home storage. 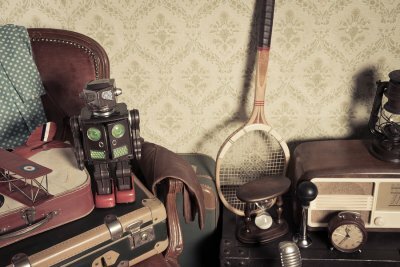 To make sure your antiques come out of storage as good as they went in, here are some tips for keeping your antiques safe in your self-storage unit. There are different types of packing materials you can use to keep your antiques safe. There are also special packing kits designed to keep fragile items from breaking during transport to and from storage. Purchase a glass pack or dish saver kit from your storage facility in Palo Alto to protect your most fragile antiques. For larger items, use bubble wrap or a furniture pad to prevent scratches, dents, dings, and breakage. Even if you are looking into short-term storage, pack your antiques as if you were keeping them in storage for a long time. This means taking care to individually wrap each antique with newspaper or bubble wrap and stacking boxes and furnishing carefully in the storage unit to preserve space. Not only will this level of care and attention keep your antiques safe while in storage for the short-term, but it will also ensure that your belongings are ready for the long-haul should you need the storage unit longer than you originally though. Antique collections can be very valuable. To prevent someone from making off with your cherished belongings, double check to make sure that you lock your storage unit after bringing something in or out. If you have a lot of items to move in or out of storage, close your unit after each time you go back to your vehicle instead of keeping it open the whole time.